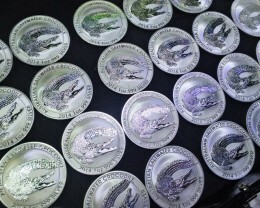 Perth Mint is at full production and buyers now have long wait for quantity orders. 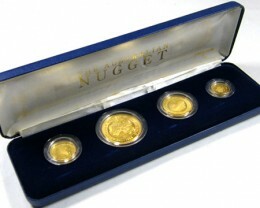 We have silver bullion coins available in bulk 20 roll lots to trays of lots of 100 silver ounce coins. 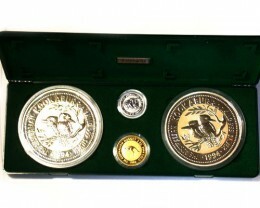 Perth Mint Lunar series silver coins have strong worldwide reputation with kookaburra series as popular as Canadian and American coins due to silver purity and top workmanship. 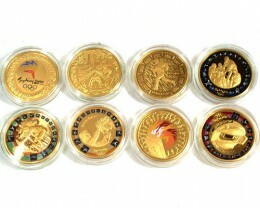 Koala designs are also strongly collected with annual coins as Year of the Tiger . Australians pay no GST on silver bullion coins. October 2010 Silver bullion coins are so popular and mintage is at maximum capacity that the Perth mint is now charging coin premiums on volume rates. Popular One ounce silver coins that include lunar and kookaburra and koala coins now are spot price plus US$7.00 if less than 50 coins ordered,US$5.00 for up to 249 coins,US$4.50 up to 499 coins to US$3.50 for 500 plus coins. One Kilo silver coins are 35.273 ounces and premium is now US$68.77 for this massive coin plus spot. Collectors Kookaburra and Koala 2011 silver coins are in high demand as always following sold out mintages from 2010 silver coins. 2011 Lunar coinage is the year of the rabbit and this series ha s many colourful silver coins including the coloured rabbit and gilded rabbit and proof silver rabbit and display case of the four lunar rabbit coins. New releases include sell out Mary Mackillop coin in gold and silver and bronze mintage in silver. 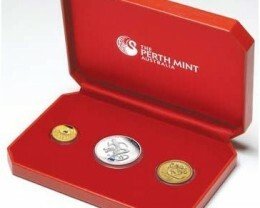 Perth Mint has high reputation for quality minted silver coins in all size from ½ ounce ,one ounce, five ounce, ten ounce, one kilo and also in its superb presentation series including Famous battles in history, Moon series including ,first man on the moon ,sputnik, First orbital coin. The sea life series of eel,clownfish,sea dragon, seahorse. Great warrior series ,Great tanks, famous naval battles, Burke & wills anniversary coin.Shanghai world expo series.